A series of failures by medical experts meant a paranoid schizophrenic received inadequate care before murdering his neighbour, an inquiry has heard. 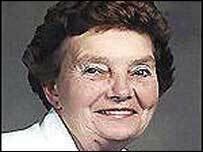 Matthew Newland stabbed 79-year-old Adelaide Howard 42 times in her home in Winterbourne, Bristol, in March 2002. Newland had a history of mental health problems, and had been sectioned two years before Mrs Howard was killed. But after he was misdiagnosed psychiatrists decided he posed no threat and his medication was stopped. The inquiry was commissioned by the Avon Gloucestershire and Wiltshire Strategic Health Authority after a judge asked what care Newland had received prior to the murder. It was told that the on the day of Mrs Howard's murder, Newland was delusional and told a social worker: "You and your family are going to be butchered." Less than an hour later Mrs Howard was attacked in her home. 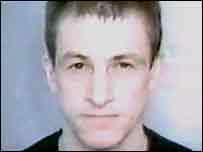 Newland pleaded guilty to manslaughter on the grounds of diminished responsibility at Bristol Crown Court in 2003, and has been detained indefinitely under the Mental Health Act. The inquiry identified a number of shortcomings in the care he had received. Barrister Gillian Downham, who headed it, said: "The psychiatrists did not take steps to ensure they had all the information needed to make a correct diagnosis. "Only one care plan was ever completed and that was in hospital - once he was at home, formal care planning was non-existent. "No professional visited him at home to monitor his care, and his family were given insufficient information to take on the task." However, the inquiry found that the pensioner's death could not have been foreseen and said the case highlighted how difficult it was to predict homicidal tendencies among mentally ill people.